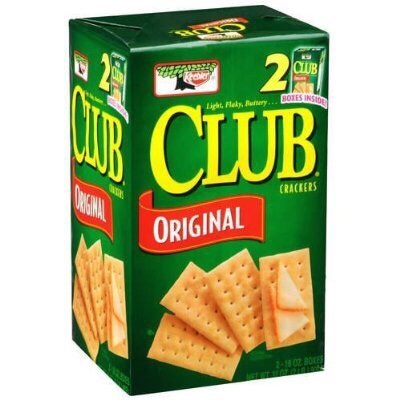 How Much Sugar Are in These Crackers? After leaving the gym one morning, I stopped by Shoprite my local grocery store to pick up a few items. Excuse me honey, can you tell me how much sugar are in these crackers? Sir, according to the label, the crackers contain only one gram of sugar per serving, but if you are watching your sugar intake, I don’t recommend you eat them? I try to give him a quick synopsis and tell him that the white flour is a starch, which isn’t the best choice for him. I explain that the starches are going to eventually break down in his body into simple sugar. Of course there is so much to it then eating whole grains but I did not have the time to say all that I wanted and needed to say. My time was limited but I desperately wanted to take his hand and walk him aisle by aisle through the store to show him healthier options. Food labels are tricky and deceptive. The labels are colorful and are strategically designed to get our attention to buy their products. It seems that every aspect of this country is about profit. Healthy living is sacrificed for greed and for profit. Just look at Martin Shkreli. The jerk… I mean CEO of Turing Pharmaceuicals. He jacked up the price of a prescription drug designed to help save the lives of HIV patients. He tried to increase the price from $13.50 per pill to $750.00 per pill! What the heck!! The intentional trickery and lies told by food manufacturers is disturbing. Consumers must read food labels; however, the education does not stop with reading labels. The process of educating oneself is ongoing and there are many valuable sources available online and in print. Below are a few sites to check out but there are many. I also enjoy reading the free magazines from The Vitamin Store. Several magazines are located at the register and they are full of resourceful information. As I said in the beginning, I wish I had the time to walk the man and others like him through the store to help them to find healthier alternatives. Hmm…. Maybe that’s something I could do on the side. Just remember, don’t be so quick to believe the pretty little lies they tell you on the colorful packaging. Dig deeper to find what’s really in the food. Just because the words “natural,” “low calorie,” “organic,” or “sugar free” are printed on a package, doesn’t mean that is true. Sadly, food manufacturers and companies can make all kinds of outlandish and untrue statements about their products. The practice should be unlawful but it is not. Some of these companies are such blatant liars, I can’t stand it! If you stand close enough to me in the grocery store, you can overhear me saying, “liar! Liar!” Lol! I’m laughing but it is true. My rule of thumb is if an item has too many ingredients listed, for the most part, I leave it alone. If you don’t already know, there is a large amount of the first ingredient listed on a label. So when you see sugar as one of the first, second, or third ingredients written in anyone of it’s 61 forms, toss it pack on the shelf. Americans consume 66 pounds of added sugar each year, on average. Added sugar is hiding in 74% of packaged food. Okay, my sugar rant is over. I could go on and on, but I will end with a friendly reminder to read the food labels and educate yourself. Don’t cheat yourself by putting bad stuff in your body. The body is like an automobile, the better you care for it, the better your body will perform for you. Thanks for stopping by and remember to keep it moving! This entry was posted in Fitness, Healthy Eating, Inspiration and tagged food, food labels, groceries, healthy-living, lifestyle, Nutrition, Sugar. Bookmark the permalink. Love this post! So excited to read you again!! Hi Shawn!! Welcome and thank you!! So happy to have you back!